Health Psychology is a relatively new sub discipline of clinical Psychology. It focuses on the prevention of physical and mental diseases as well as on health promoting strategies. 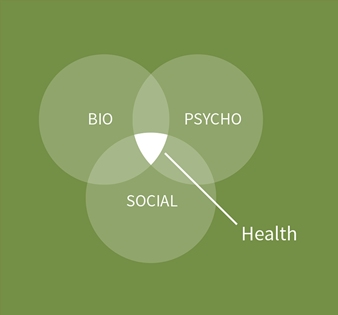 Health psychologists take a holistic biopsychosocial approach. In other words, health psychologists understand health to be the product not only of biological processes (e.g., a virus, tumor, etc.) but also of psychological (e.g., thoughts and beliefs), behavioral (e.g., habits), and social processes (e.g., socioeconomic status and ethnicity). By understanding psychological factors that influence health, and constructively applying that knowledge, health psychologists can improve health by working directly with individual patients or indirectly in large-scale public health programs. In addition, health psychologists help train other healthcare professionals (e.g., physicians and nurses) to take advantage of the knowledge the discipline has generated, when treating patients. I was born in Great Britain and grew up in Germany. I obtained my degree, Dr. biol. hum. (Doctor of Human Biology in Health Psychology) with a scholarship in 2006 from Ulm University in Germany, Medical faculty, Institute of Psychosomatic Medicine and Psychotherapy, Section Health Psychology. In my dissertation I focused on migration and psychosomatic health. I was a research assistant at the University Clinic Ulm and a member of the interdisciplinary colloquium. In 2000 I completed my Master degree in Medical Anthropology (Human biology) and Sociology at Johannes-Gutenberg-University, Mainz, Germany. At this time I also was a research assistant at the Max-Planck- Institute, University Mainz. Before entering university I made a voluntary social year (Freiwilliges Soziales Jahr) in a hospital in Wiesbaden. I was living for four years in southern Africa (Lesotho) and volunteered as a Practical Health Psychologist at St. Joseph's Hospital in Roma, Lesotho as well as at the National University of Lesotho. I mainly worked with cultural sensitive approaches, counselling students and clients suffering from HIV/Aids, psychosomatic ailments and Post Traumatic Stress Disorder (PTSD). I am living in Bangkok since 2008 together with my husband and our three children. Besides working in the practical field of health psychology I have taught more than four years at the Graduate School of Psychology, Assumption University of Thailand and I have advised a number of Psychology Master theses in the areas of public health, transgender issues and cultural phenomena. Since 2010 I am listed as a recommended practitioner at the German Embassy, Bangkok. Please contact me for a detailed map.